The Asia Hotel and the Vie Hotel are both just steps from this station. 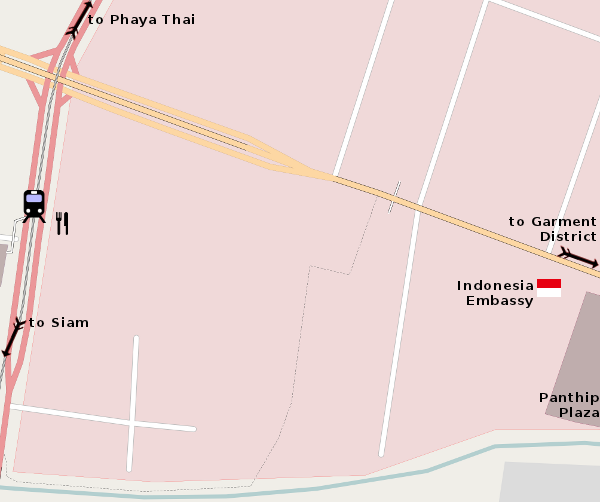 You can also walk to the garment district and Panthip Plaza IT mall from this station. Right below the station is Coco Walk, a large collection of pubs, clubs and restaurants. It only seems to be active at night. « BTS Skytrain main page.